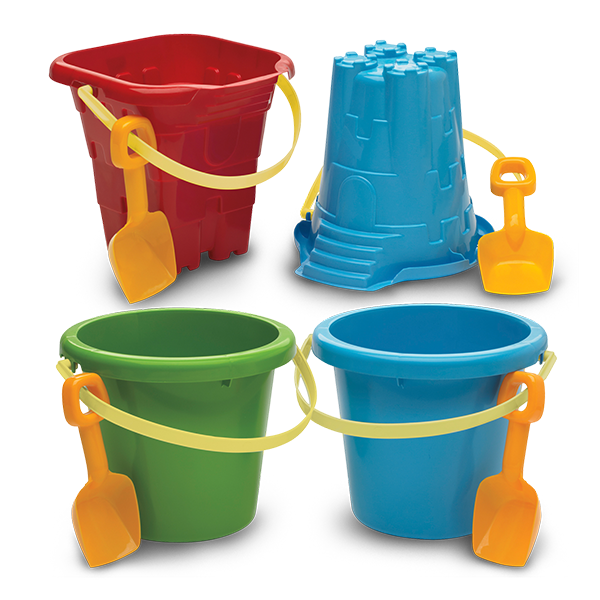 JUMBO PAIL, MOLD & SHOVEL ASSORTMENT | American Plastic Toys Inc.
For all beach fun needs! This colorful assortment of pails includes a jumbo castle mold and a two-gallon pail. All pails include a shovel attached with removable handle strap.